Moxley Electronics is proud to introduce Saginaw Control & Engineering as the newest addition to our portfolio of industrial automation products. SCE has been serving the electrical industry since 1963, designing and manufacturing industrial steel enclosures. They carry a full line of stock industrial enclosures manufactured at the highest standards using state-of-the-art fabrication technology. In addition, Saginaw specializes in custom designed enclosures and precision sheet metal fabrication. SCE keeps a 255,000 square foot manufacturing and warehouse facility in Saginaw, Michigan, and two 30,000 square foot distribution centers – one in Aurora, Ohio, and one in Kenosha, Wisconsin. Pushbutton Enclosures: Designed to house oil-tight pushbuttons, switches, and pilot lights. Operator System Enclosures: Designed to house a wide variety of equipment; panel mount, rack mount, desktop PC’s, monitors, keyboards and panel views. 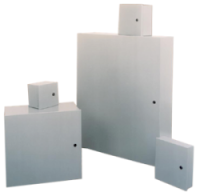 Steel & Stainless Steel Enclosures: Designed to house electrical and electronic controls, instruments and components. Disconnect Enclosures: Designed to house most standard types of disconnects and circuit breakers as well as electrical and electronic controls, instruments and components. NEMA Type 1 Enclosures primarily provide protection against accidental contact with live parts and against a limited amount of falling dirt. 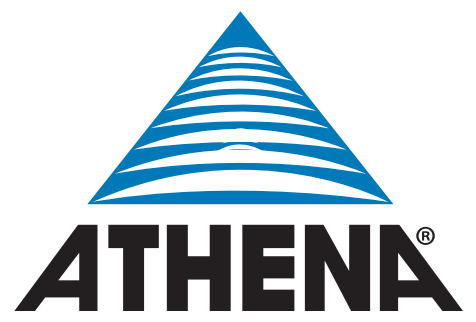 They are a general-purpose enclosure intended for indoor use or locations where unusual service conditions do not exist, and are designed to house electrical controls, instruments and components. NEMA Type 3R Enclosures are primarily used in an outdoor environment to protect against rain, sleet and snow, and indoors against dropping water. 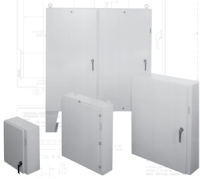 These enclosures are designed to house electrical controls, instruments and components. Steel Enclosures: Designed to work in a wide range of environments indoors or outdoors, and house electronic controls, instruments, and components. Disconnect Enclosures: Designed to work in a wide range of environments indoors or outdoors, and will house most standard types of disconnects and circuit breakers as well as electronic controls, instruments, and components. Stainless Steel Enclosures: Designed to work in a wide range of environments indoors or outdoors, and house electronic controls, instruments, and components. Stainless Steel Disconnect Enclosures: Designed to work in a wide range of environments indoors or outdoors, and house most standard types of disconnects and circuit breakers as well as house electronic controls, instruments and components. Fiberglass Enclosures: Designed for indoor or outdoor use to house electronic controls, instruments and components in areas that may be regularly hosed down, in very wet conditions, or are exposed to corrosive agents. Polyester fiberglass sheets are reinforced with short strands of fiberglass in random order in the polyester resin. Saginaw Control & Engineering offers hundreds of accessories that complement their enclosure product line, making it easy to modify or add special features to standard products.